I first got into music at a young age of 3yrs. My fathers music centre and a cassette recorder was a treasure trove of music genres that fascinated me. I soon started classical piano lessons at the age of 5yrs where they discovered I had a rare auditory phenomenon called a perfect pitch. This enables me to give a name of a note without a reference. To me it is a sixth sense as in taste or smell. This became a party piece where I stand away from the piano and instantly recite notes being played. The clinking of wine glasses and clatter of plates has become another speciality! Learning the piano broadened my knowledge even more and soon I started playing violin at the age of 8yrs. While I was at school I completed all the classical grades in piano (Grade 8) and was also attending the Wolverhampton Youth Orchestra playing the violin. I first got interested in the ukulele by coming across a 78rpm record of George Formby Why Don't Women Like Me on the Decca label and I was fascinated from what I heard coming out of my wind-up gramophone. The sound of Georges ukulele appealed to me and I became hooked and wanted to know more. I have been collecting 78rpm records and phonograph cylinders since I was 11yrs when I first discovered a box of Zonophone one sided records in my parents attic that had been in the family since new. A long time friend, Matthew Francis, also got interested in records and he came across a George Formby LP. Gradually between us we got more records of George Formby and built up our collection. At the age of 15yrs we both decided to purchase a banjo ukulele and taught ourselves to play and found out about the George Formby Society and the Stourbridge Branch through Alan Randall who we saw doing a performance at the Grand Theatre Wolverhampton. We both started performing as the Two Matts at Residential Homes, Fetes and Re-enactment events. In the meantime I was composing music for myself and arranged several pieces for the school orchestra. In 2004, I started college in Hereford where I completed a Music Technology Course along with Piano Tuning, Music Performance, and Classical Piano Diploma. I soon began performing a solo act with ukulele and piano, and won a trophy for the most outstanding musician at the Hereford Music Festival. Meanwhile I travelled back to Wolverhampton at weekends to continue gigs at Residential Homes. After I finished college I started my own business as a Piano Tuner, and playing piano and ukulele across the UK. Whether it is playing piano background music at weddings and restaurants or ukulele at Town Halls, Civic Halls, Theatres, etc. I am very fortunate at making a living with music. 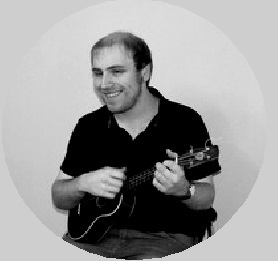 I became Musical Director of The George Formby Society in 2010 and by that time my knowledge on playing the ukulele had evolved tremendously. Hope to see you at a GF Meeting or one of my performances in the future. Matthew has composed many compositions in a variety of genres of music, and is a qualified Music Tech Technician. He has also entered music for the BBC. His natural gift of perfect pitch helps him to communicate with music on a different level.